This handmade Red Sable Rigger by Isabey is made from long, 100% pure Red Sable hair. 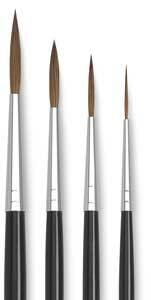 The brush tip's length allows long lines to be painted without raising the hand. The full length of the hair is exposed from the ferrule, offering a loose, fine point and high paint-carrying capacity. 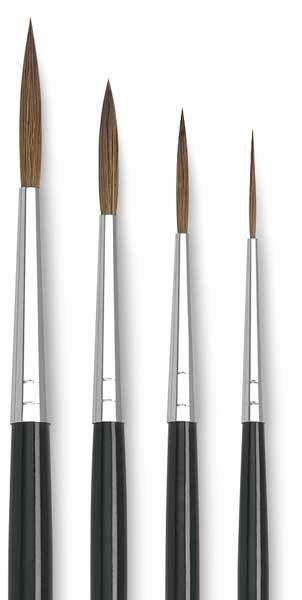 This brush is ideal for line artwork such as lettering, calligraphy, architectural, and floral drawing, landscape foliage, or other loose point watercolor techniques. It has a black handle with a gray tip and a nickel-plated brass ferrule.